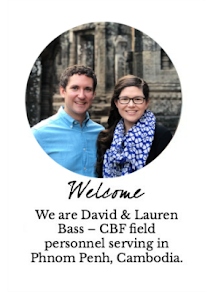 David and Lauren Bass: CAMBODIA? Cambodia was not on our radar. David and I have been talking about living overseas since we started dating. That much was certain. We had never been certain about where we would serve though. We've both lived and served abroad before. David lived in Italy for two years and spent a summer in Bosnia. I've lived in Spain and served for a semester in Brussels, Belgium. While we've both traveled broadly, we have a lot of experience working in Europe. We speak Spanish, Italian and a bit of French between us. We brought our experiences with us to the table, but we were never tied down to continuing to work in Europe. We kept saying that what we wanted was a place where we could both live and work out of a sense of calling. 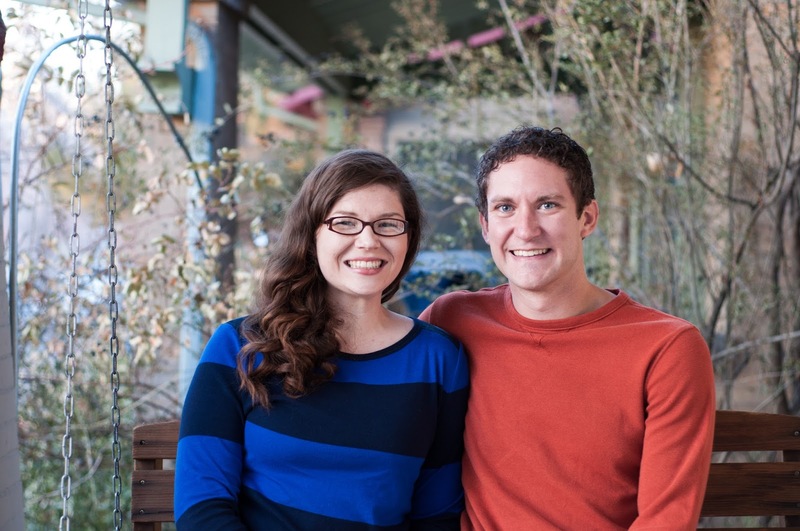 As we talked with CBF Global Missions staff on a trip to Atlanta this past fall, we were approached about a position to serve in Cambodia. The placement had yet to be published, and the thought of it caught us a bit off guard. The position would allow David to work alongside Cambodian leaders to develop a training program for Cambodian church leaders. Cambodia's church planting movement is exploding, and there is a real need for someone with an education mindset to come in and help get a sustainable training program off the ground. I would have the opportunity to help Cambodian pastors and leaders sustain themselves and address their communities holistically through economic development projects (such as gardens, chicken coops or microenterprises). 35% of Cambodians live on less than one dollar a day, and economic development is something I have been interested in for a while. We realized that these positions fit our callings, and as you already know, we signed up. We will learn a new region of the world. We will learn a new language. And while we are nervous about some parts of the transition, we are incredibly excited.